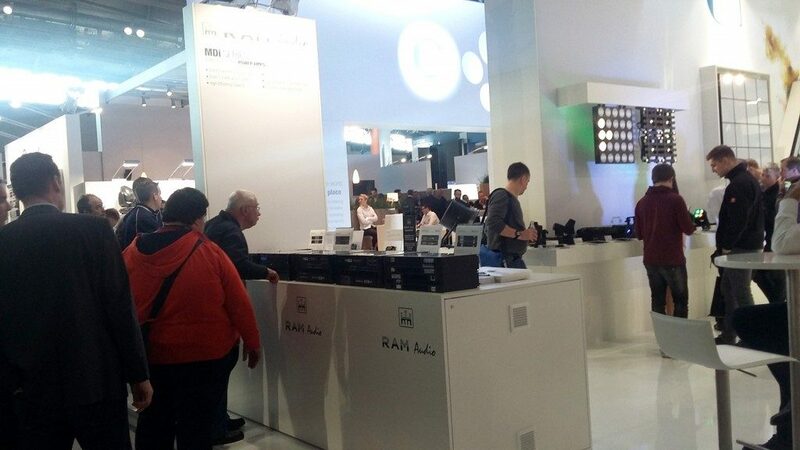 During these last three months, RAM Audio amps have been displayed in the most important audio shows all around the world. At the beginning of March, RAM Audio Chinese distributor, Guangzhou Ruisheng Audio & Light Equipment, participated in ProLight+Sound Guangzhou and Guangzhou Entertainment Technology Show (GET show) exhibitions showing to visitors current range of RAM Audio amps, S, T, V and Zetta series. 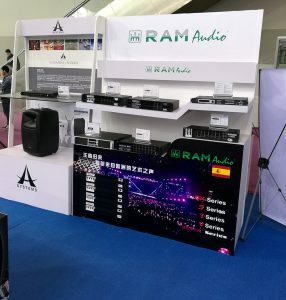 As per Mr. Will Chen words, Ruisheng CEO, shows were crowded this edition and there were a significant number of new contacts interested in the amps. 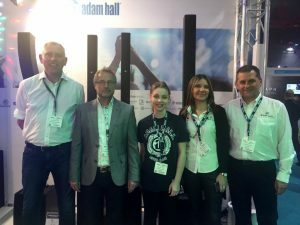 In early April, RAM Audio attended, one more year, the international ProLight+Sound Frankfurt show together with its German distributor Adam Hall. 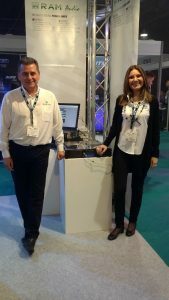 This year there were many changes in this show, mainly with regards to the halls of the venue, and we have felt them very positive, as a very big attendance came to the stand. Our new MDi amps were displayed there, together with Power Pack modules. 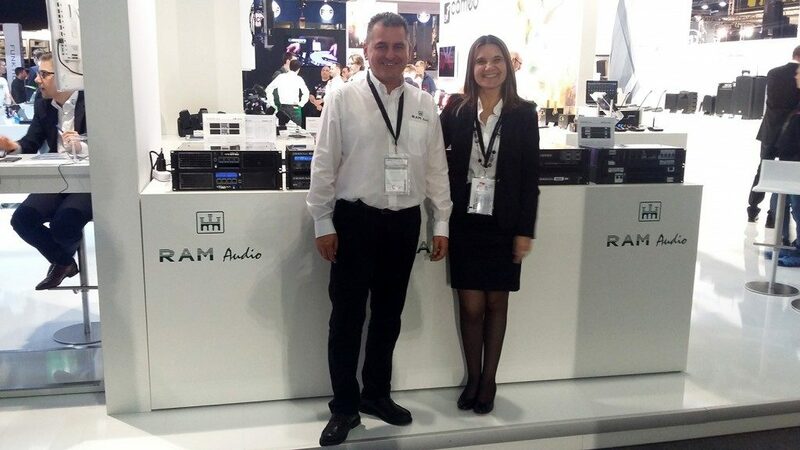 And more recently, in May, RAM Audio took part in the European exhibitions M.I.R. 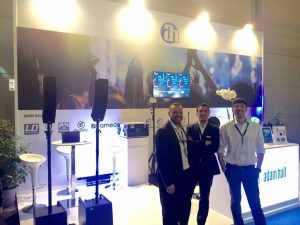 (Music Inside Rimini) in Rimini (Italy) and PLASA Focus Show in Leeds (U.K.). 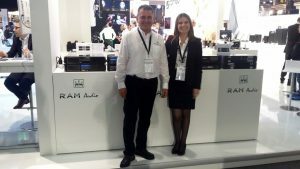 Both, Italian and English shows were held by Adam Hall Italy and U.K., respectively, being both of them the first time that RAM Audio amps have been displayed there by this European distributor. As per Fabio Deambrogio, from Adam Hall Italy, words “we are very satisfy with our participation in this show, as more than 150 professional visitors came to our booth, most of them new contacts for Adam Hall”. 6. David Arnau y Mónica Royo from RAM together with Adam Hall UK team at PLASA Focus exhibition in Leeds.